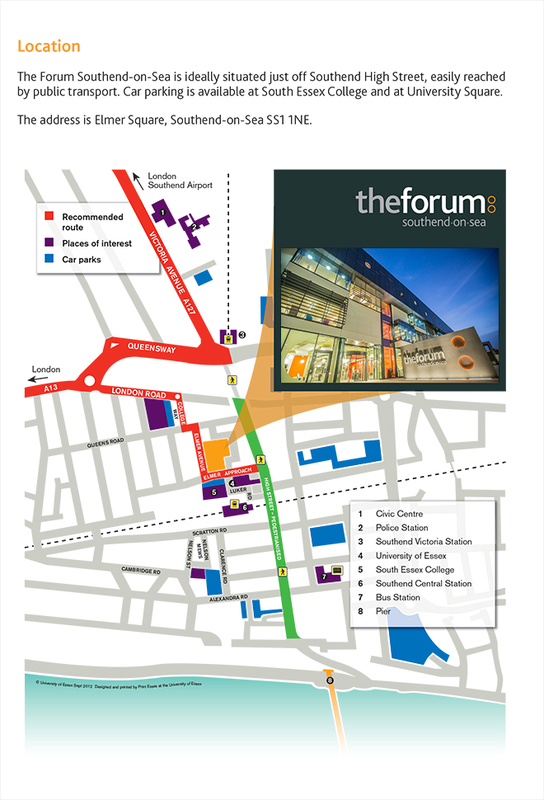 The third floor of The Forum is dedicated to our higher education cohort and they have preferential access to the two study centres. Between The Forum and Southend Central Rail Station is the College’s Southend Campus, one of three main campuses servicing the South Essex region, the other two are located in Basildon and Thurrock (Grays). We offer courses for everyone: school leavers, adults returning to learning, employees looking to up-skill and improve their promotion prospects and those wanting to learn a new hobby and meet likeminded people. Backed up by state-of-the-art facilities including a Sony-approved high definition television studio, a radio studio, a fully-equipped Nikon photographic studio with digital SLR cameras as well as art areas, science labs, animal management centres, dog rooming facilities, hair and beauty salons (open to the public at competitive prices) and learning and resource centres. For those interested in sport, the College also offers purpose-built sports facilities at Wellstead Gardens in Westcliff-on-Sea, with a gym and well-maintained playing fields for team sports. We also have our Waves brasserie and Atrium coffee shop, if you wanted to get away from the hustle and bustle of the high Street.